You can get a surprising amount of information from a Windows machine if it has port 445 open, especially if you happen to have a working user account on the machine (such as an account credential grabbed from another machine on the same domain). All you need to do is take any Windows host, and share something. For example, create a new folder on the desktop. Then right click on that folder, and click Properties. There is a Sharing tab. Make sure you have also created a user with a password on this machine. 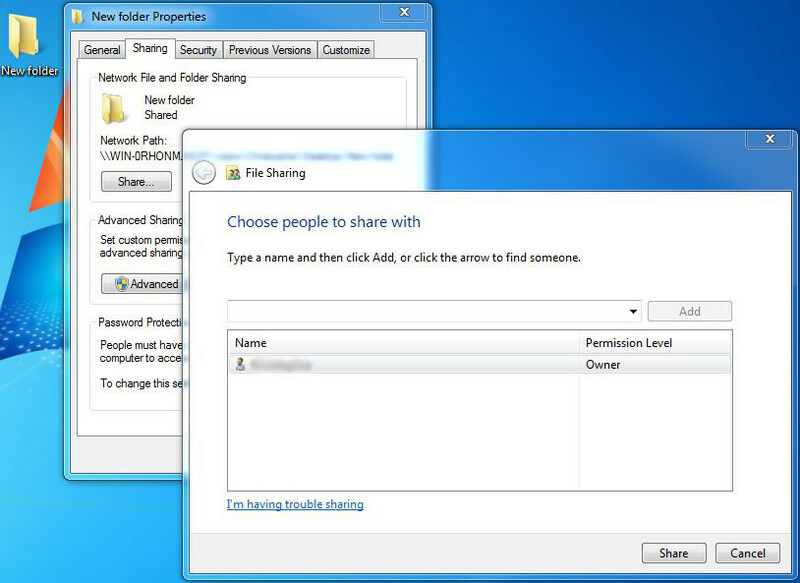 Any Windows host with file sharing will do. These hosts are usually pretty obvious when running a nmap port scan. Ports 135, 139, and 445 will most often be open. There are a number of tools and metasploit modules that do smb enumeration (try out auxiliary/scanner/smb/smb_lookupsid). However, there is an older tool that seems to work the best called superscan. It still works fine on all modern Windows operating systems, but you need to run it as an Administrator (right click, run as administrator). Superscan gives you a number of tabs with tools (lets be honest – these other tools aren’t all that useful), but we’re going to look at the Windows Enumeration tab. Simply type in the IP of the machine you setup, and click Enumerate. It’ll run all the modules, and most likely it’ll come back only with information on the NULL session connection and the RPC services. However if you can run an authenticated scan, it is a gold mine of information. Click on Options and enter your credentials and run the scan again. Now you’ve got all sorts of information on the remote system, including all the groups (who are the administrative users? very useful), usernames, other shares available, uptime, account policies, who logged in last, etc. This is great, especially when you can’t access this information through RDP or anything else. This entry was posted in practical hacking, tools and tagged information gathering, null sessions, smb, superscan, windows enumerations on February 7, 2013 by admin. SNMP can be a valuable information gathering resource. The very purpose of SNMP is to give information about the system to whoever queries it. Sometimes SNMP is not adequately locked down, and anyone can grab information from it. For example, a router with SNMP on can give up its full configurations, including passwords to other services, open ports, etc. A quick note on SNMP. You’ll see SNMPv2 and SNMPv3 used. SNMPv3 is newer and better secured. You can use encryption, full username/password, etc. SNMPv2 is older, but more widely used (and easier to implement). As the password to get into the system, it uses what it calls the community string. By default, that string is often simply “public”. 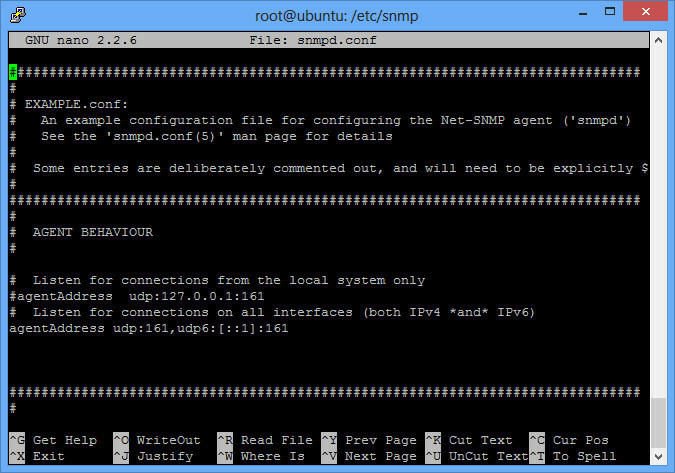 Then edit the configuration file located in /etc/snmp/snmpd.conf. Right at the beginning of that file is an agentAddress option. By default, it will allow local connections only (good security), but we want to allow connections from anyone (bad security). So comment out the first agentAddress option, and uncomment the second agentAddress option as shown. And you should be all setup with your testbed. You can also just try one of the tools listed below, but they can a while to timeout. Sometimes the TCP port 161 is also open, which gives you a good clue during a normal TCP nmap scan. There are also nessus plugins and metasploit modules (auxiliary/scanner/snmp/snmp_login) to help. As you can see, the scan found our vulnerable host we just setup (192.168.1.5) as well as a printer of mine (192.168.1.7 – which I had no idea used SNMP until just now). Both use the public community string. Full use of this tool is beyond the scope of this post, but you can see that you get back lots of valuable information. The public community is used by default here. There isn’t a whole lot of real useful information in our test system, but other systems could contain a wealth of additional information. For example, even my printer gave pages of information on its interfaces, routing tables, other open ports, etc. This entry was posted in practical hacking, tools and tagged backtrack, information gathering, mib browser, snmp, snmpcheck on February 4, 2013 by admin. Information gathering is one of the first phases of a penetration test. A wealth of information can be found in DNS records – if you can get them. DNS records can give you an idea of the IP schema used, important servers, etc. This information can be used to intelligently guess other IP spaces, and know what other servers you can focus on. An unsecured DNS server will allow anyone to perform a zone transfer, allowing you full access to the records stored on there. In this setup, 192.168.0.101 is the slave DNS server. If you want to open yourself up to a zone transfer from anyone, simply remove the allow-transfer line and reload bind. You will find you are now open to a zone transfer. The easiest way is just to try the attack. If you run an nmap scan on a host and find port 53 open, try a zone transfer against that host. I’ll go over 3 ways to do it, using 3 different utilities. I’ll use avhackers.com, which is just a parked domain as of this writing, but does have zone transfers enabled. For each way, you first need to find the name servers of a domain, and then query that name server to do a transfer for the domain. avhackers.com. 84804 IN NS ns2.sedoparking.com. avhackers.com. 84804 IN NS ns1.sedoparking.com.
. 86400 IN NS ns1.sedoparking.com.
. 86400 IN NS ns2.sedoparking.com. Once again, all the same information, but formatted differently. Good luck with your DNS zone transfers! This entry was posted in practical hacking and tagged backtrack, dig, dns, dnsenum, information gathering, zone transfer on February 1, 2013 by admin.